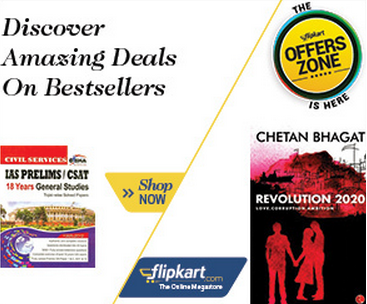 Since madness is characteristic of all mahatmas, our one (Gandhi) is no exception to this general rule. Perhahps he still hopes he may alter the situation; but no man or institution or nation which compromises on its principles has been able to prosper. 11 June 1949: The great thinker Periyar wrote in his journal Kudi Arasu in detail about the importance of scientific outlook among the students and the public. Periyar was always a staunch supporter of science and believed that science only can eliminate superstitions. 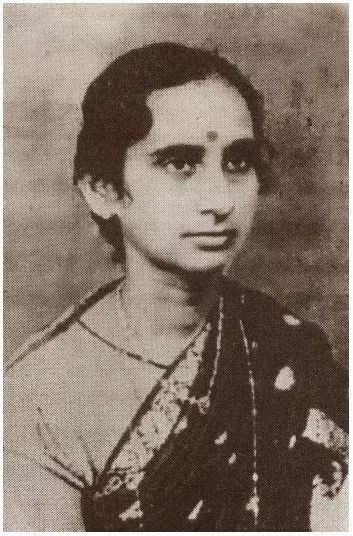 In his journal Kudi Arasu (People’s Rule) and Vidhthalai(Liberation/Freedom), he wrote a number of essays frequently about the necessity of science and its uses. 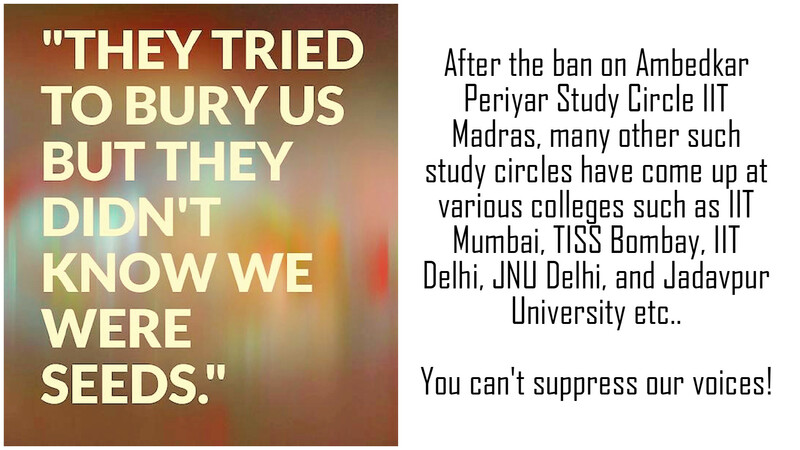 After the ban on Ambedkar Periyar Study Circle IIT Madras, many other such study circles have come up at various colleges such as IIT Mumbai, TISS Bombay, IIT Delhi, JNU Delhi, and Jadavpur University. You can’t suppress our voices! 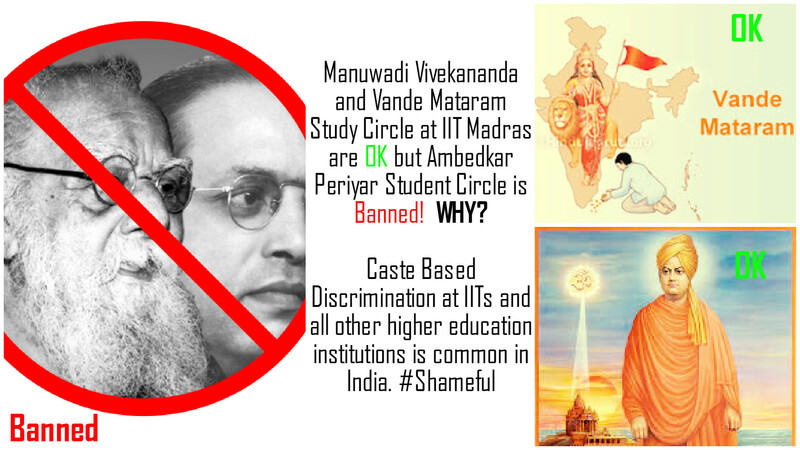 Manuwadi Vivekananda and Vande Mataram Study Circle at IIT Madras are OK but Ambedkar Periyar Student Circle is Banned! 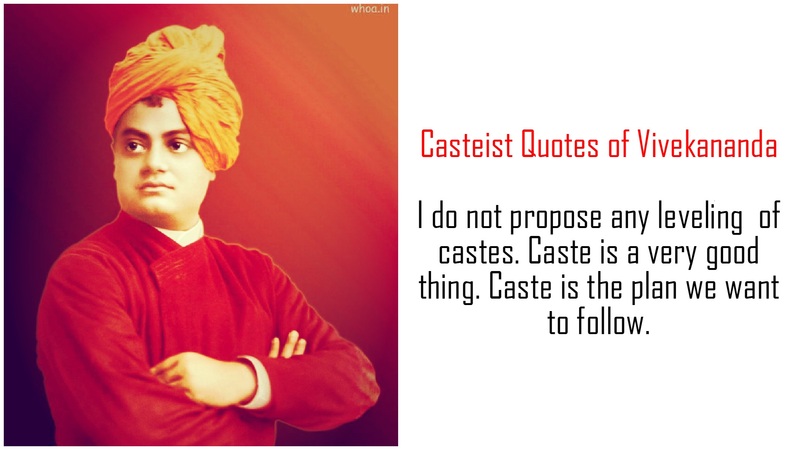 Banned for speaking against superstitions and raising voice against caste based discrimination. Caste Based Discrimination at IITs and all other higher education institutions is common in India. Shame on IIT administration and MHRD. Ambedkar Periyar Student Circle at IIT Madras is Banned. 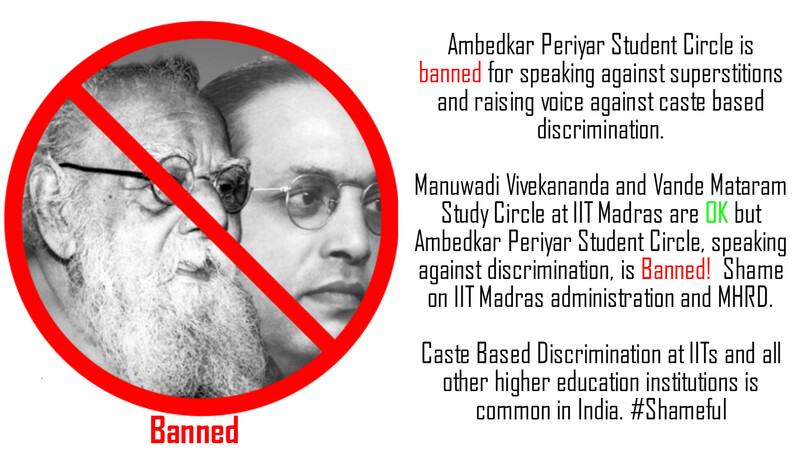 Shame on this Modi Government’s Ministry of HR and IIT Madras administration for banning a student group – Ambedkar Periyar Study Circle. This is absolute misuse of power by the Sanghis and attack on fundamental right of freedom of expression and free speech. These buggers know the power of ideology of Dr Ambedkar and Periyar which is the only ideological force in India that can challenge them socially, culturally and politically.